Thank you for donating to the Hillsborough Schools Foundation Annual Giving Campaign! After completing your donation online, you will receive an electronic receipt by email. All gifts are in US funds. 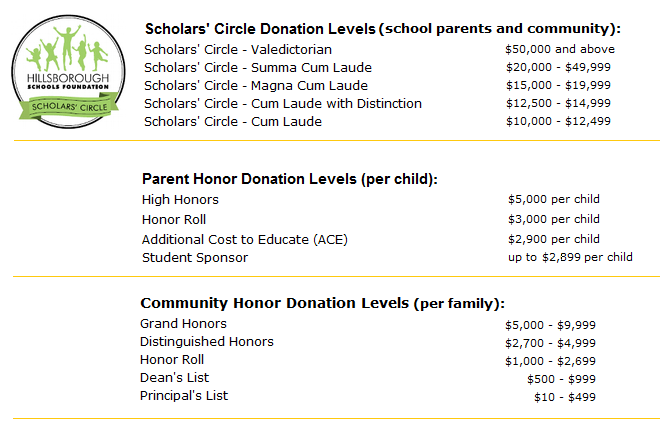 Gifts to Hillsborough Schools Foundation are tax deductible in accordance with IRS regulations.